Your badge is often one of the first experiences your guests have of your event. Make sure you create exactly the right first impression! Whatever your need from a badge, whether it's ability to include barcodes for visitor tracking or full credentials passes, our event specialists will work with you to provide the exact solution you need - on time and on budget! 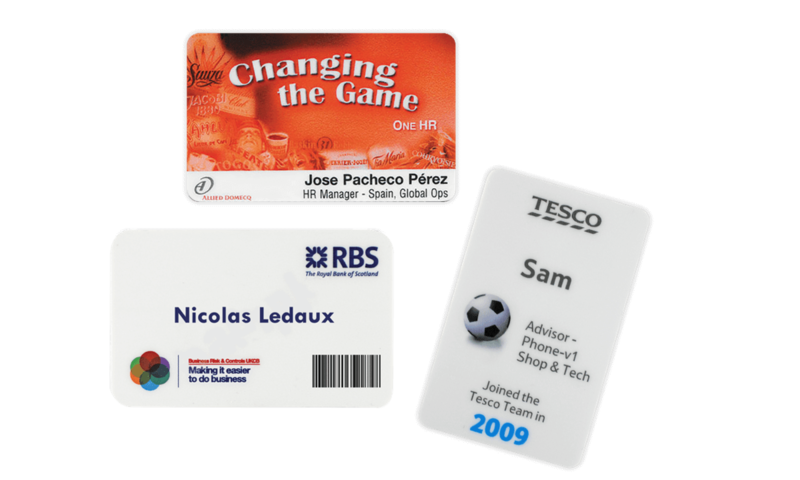 Event Badges are high quality, eye-catching and create a great first impression at your event or meeting! Ideal for one-off events, our event badges are sturdy and well produced and can be printed in any combination of eye-catching colours or styles.